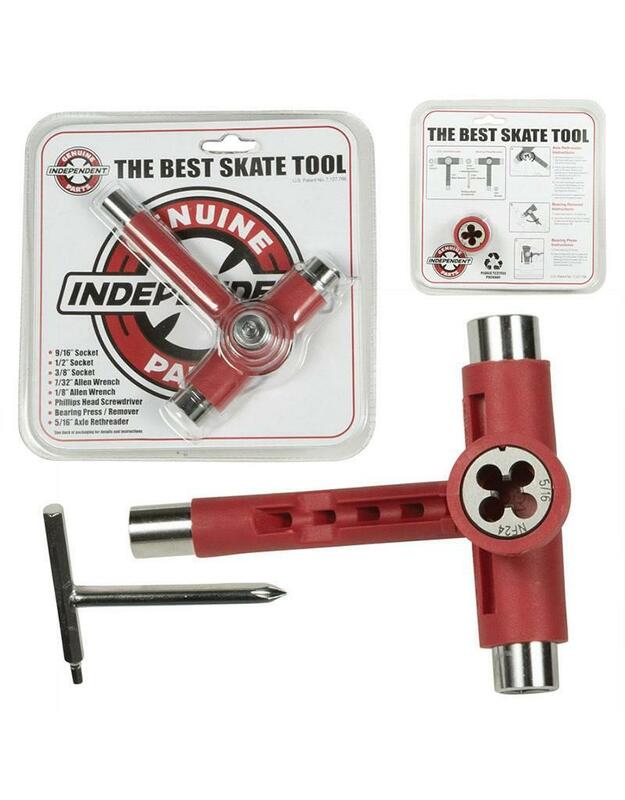 Officially licensed and patented design—The Best Skate Tool features 9/16”, 1/2”, and 3/8” sockets, 7/32” & 1/8” allen wrenches, #2 phillips driver, a bearing press / puller, and 5/16” axle re-threader. 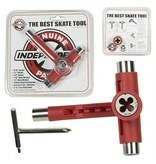 Its seriously the only tool you’ll ever need. 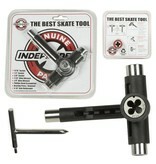 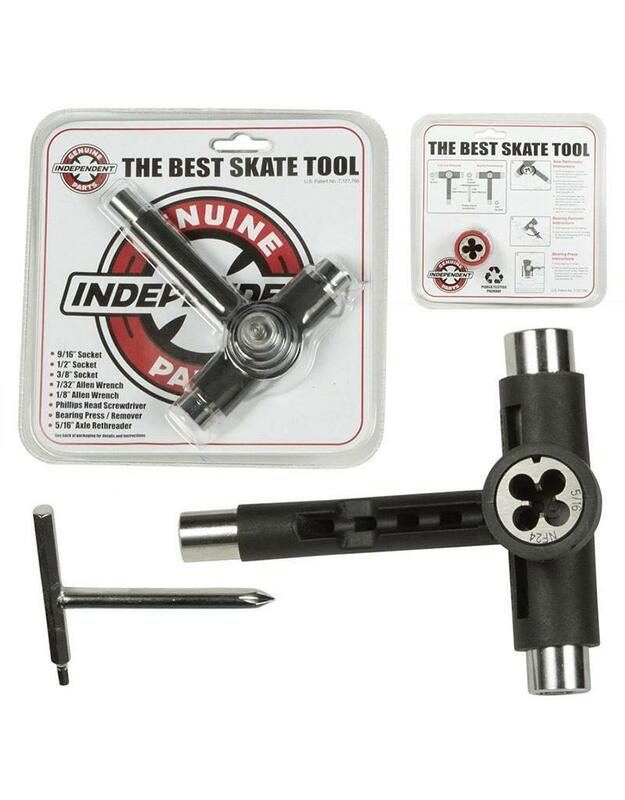 One of the only skate tools on the market that has a piece to put bearings into wheels AND a re-threader to fix your beaten down axles.